With the new Magura Vyron eLECT dropper post, your bike can be one step closer to the machine you’re glossing over at right now. 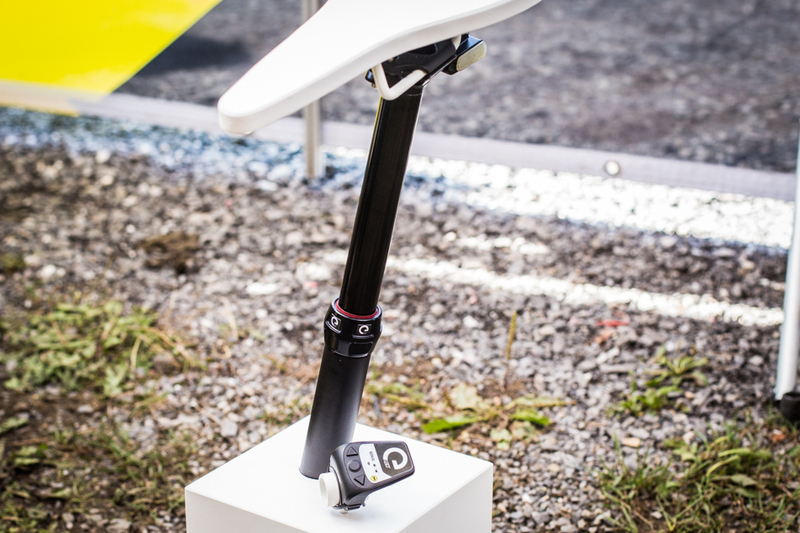 Magura has the $460 post on display at the Eurobike tradeshow in Friedrichshafen, Germany, and will be the first company to bring a wireless electronic dropper to market. 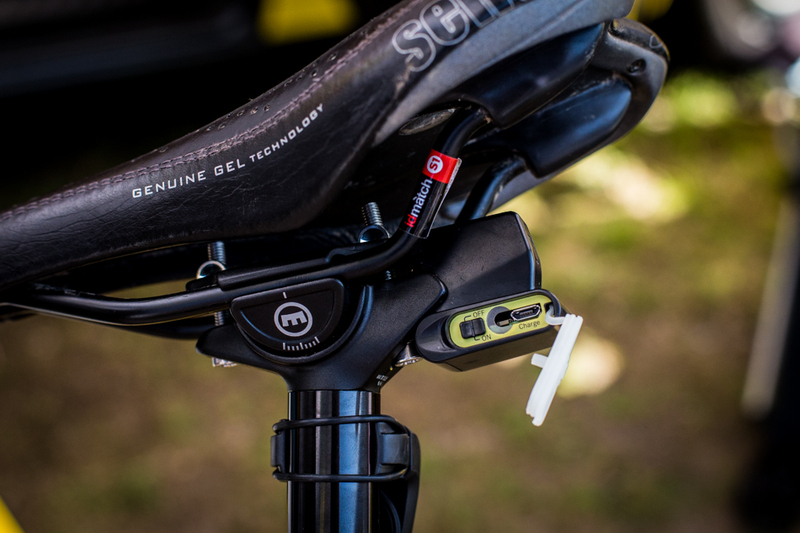 The new post features up to 150 millimeters of drop, controlled by the ambidextrous, bar-mounted eLECT remote, which is the same gadget Magura has been using with its electroically-controlled suspension bits. If you’re one of the very few people in the world with electronically controlled Magura suspension, you’ll be happy to hear that you can soon use the three buttons on one eLECT remote to control your fork, shock and seatpost (the fork is awaiting an update in order to run on the same remote with the shock and post). The Vyron uses an ANT+ wireless system to replace a cabled lever. The post doesn’t drop on its own, though–it still must be weighted in order to drop. Magura claims that the hydraulic post will run out of power after about 400 actuations. An internal motion sensor saves energy by putting the post into sleep mode when the bike is stationary. If you do run out of power, there will be 20 emergency actuations which can be used via the buttons on the post itself. Recharging through the micro USB port is said to take about three hours from empty. The new post will come in 30.9- and 31.6-millimeter diameters and be available in November of 2015. Our initial thoughts? The post on display was showing quite a bit of lag between the remote button being pressed and the motor in the post activating to allow movement. Also, after the switch is activated, the piezoelectric motor will hold the oil valve open to allow height adjustment for one-and-a-half seconds, so if you drop your seat all the way in, let’s say, a half second, you’ll have to continue to sit on it for another second to wait for the valve to close, or the post will just come right back up again. Same goes for any small, infinite adjustment. If you want to make a small, 20-mil adjustment, you’ll have to hover there until the motor closes. According a Magura representative, there is no way to adjust the time that the valve stays open. We’d like to see a version that opens a bit quicker when the button is pushed, remains open while the button is depressed and closes when it’s released. 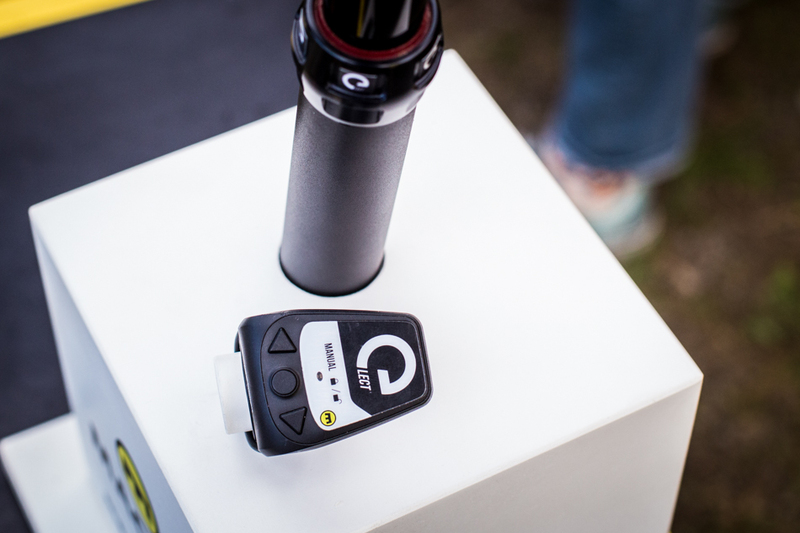 One potential advantage of the wireless setup is that the post can be easily switched from bike to bike, which would be especially convenient for riders willing to invest in multiple remotes. On the other hand, a sticky-fingered individual with an allen key could very easily nick the nearly 500-dollar post.